On February 1, 2018, the U.S. Department of Labor’s Office of Federal Contract Compliance Programs (OFCCP) sent 1,000 notices to federal contractors and subcontractors. These notices inform employers that one or more of their facilities are likely to be the subject of an affirmative action compliance review during 2018. OFCCP has been sending these notices to employers for about ten years. These notices, which are formally called Corporate Scheduling Announcement Letters (CSALs), are meant to provide employers with an opportunity to prepare for a pending affirmative action compliance review. 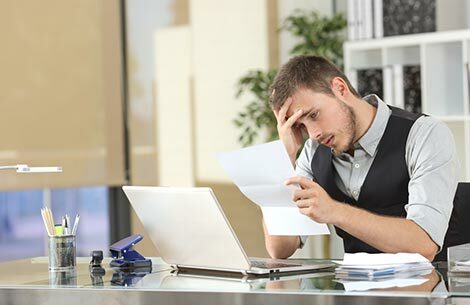 Prior to the use of CSALs, employers that were subject to a compliance review simply received a letter opening the review without any warning from OFCCP. The first rounds of CSALs used by OFCCP were sent to the corporate headquarters of large employers. Prior to this, OFCCP had received feedback from large federal contractors and subcontractors that these organizations were frustrated by the number of compliance reviews occurring at different facilities and by their inability to effectively keep track of which facilities were undergoing review. CSALs were meant to alleviate these problems. However, in 2012, OFCCP changed its approach to sending CSALs when it began sending CSALs directly to individual facilities rather than to a corporate headquarters. OFCCP took this new approach after it heard complaints suggesting that corporate offices were not effectively communicating with their facilities about pending reviews. A corporate headquarters would only receive a CSAL if the corporate headquarters itself was scheduled to undergo review. Thus, the Corporate Scheduling Announcement Letter has changed from a device to alert the corporate headquarters of large employers about multiple pending reviews to a device that alerts individual locations about upcoming reviews. OFCCP has made it clear that the agency is not required to send CSALs before starting compliance reviews. The agency considers CSALs to be a courtesy notice to federal contractors and subcontractors. OFCCP retains the right to start compliance reviews at facilities that have not received a CSAL, and there have been occasions when OFCCP has done so. It is important to note that a CSAL does NOT formally open a compliance review. The CSAL is effectively a pre-scheduling notice advising a facility that OFCCP expects to conduct a compliance review there. A compliance review only opens when OFCCP sends the formal letter requesting data and other items to an employer. This letter, referred to as a scheduling letter, gives an employer 30 days to provide affirmative action plans and other information to OFCCP. The scheduling letter includes an itemized listing that is a specific, detailed list of information that OFCCP demands as part of an employer’s submission at the start of a compliance review. Facilities chosen to receive a scheduling letter are typically part of a formal scheduling list that is produced at OFCCP’s headquarters in Washington, D.C. While CSALs signal that OFCCP intends to conduct a compliance review at a given facility, a CSAL is not proof that OFCCP has the right to actually conduct a review. OFCCP gathers data to determine which organizations should receive CSALs and scheduling letters from various sources. Some of these sources contain old or incorrect data. For example, CSALs are occasionally sent to facilities that are closed, or to organizations that are no longer doing any federal contracting or subcontracting. Organizations that receive CSALs at facilities that are not appropriate targets for OFCCP compliance reviews must wait until they actually receive a scheduling letter before challenging OFCCP’s right to conduct a compliance review at that facility. OFCCP will begin mailing scheduling letters to facilities that received CSALs on March 19, 2018. As always, federal contractors and subcontractors will be required to submit their affirmative action plans and other requested information to OFCCP within 30 days of receiving a scheduling letter. OFCCP has announced that no more than ten (10) establishments of a single organization will be on the most recent scheduling list the agency has produced. No facility with a review closed in the last five (5) years will be part of the current scheduling list. The last three bullets represent an important change for OFCCP. OFCCP has typically not established the kinds of limitations noted above regarding the number of compliance reviews that an organization may undergo or regarding the number of compliance reviews to be conducted at an organization by an OFCCP district office. More critically, OFCCP has traditionally only exempted an individual facility from a compliance review when that facility had a review closed within the last TWO (2) years. By using these additional criteria in developing its new scheduling list, it appears OFCCP has attempted to address past concerns by the contractor community regarding the number of compliance reviews experienced by a particular organization, at a particular facility, or with a particular OFCCP district office. Management officials should be made aware that an OFCCP compliance review is likely to occur sometime during 2018, and that the review may open as early as March of 2018. Affirmative action plans that have already been completed should be carefully examined to ensure they contain the information that will be requested during a compliance review. Other information that may be submitted as part of a compliance review should be carefully examined to determine whether this information will raise any issues during a compliance review. Efforts should be made to complete any tasks that are required to bring an organization into compliance with the federal affirmative action regulations. Organizations should review their outreach efforts and prepare for discussions regarding the results of these outreach efforts. Organizations should ensure they have conducted some kind of review of compensation practices and decisions in preparation for submitting compensation information to OFCCP. There is no way to predict exactly when a facility that has received a CSAL will start its compliance review. It appears that the earliest facilities on the current CSAL list may receive a scheduling letter is the week of March 19. However, OFCCP has the right to conduct compliance reviews of facilities receiving the February 1 CSALs at any time. OFCCP has in the past started compliance reviews at facilities that received a CSAL more than 18 months after the CSAL arrived. Federal contractors and subcontractors with multiple facilities can confirm whether one or more of their establishments were mailed a CSAL by sending a written request on company letterhead asking about CSALs to OFCCP’s Division of Program Operations at OFCCP-DPO-Scheduling@dol.gov. More information on CSALs, including the points noted above concerning the CSALs sent on February 1, 2018, can be found on OFCCP’s website at http://www.dol.gov/ofccp/regs/compliance/faqs/csalfaqs.htm.